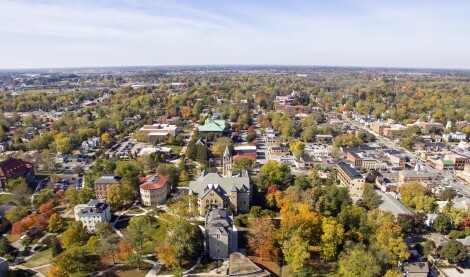 DELAWARE, Ohio – Ohio Wesleyan University, Delaware County, and the City of Delaware are joining together to create The Delaware Entrepreneurial Center, a business accelerator and education center to be located on the OWU campus. The city and county also are supporting the entrepreneurial center, with each committing $50,000 to the venture for each of the next five years. Both entities will have access to office space inside the center to assist budding businesses as they mature and seek to move to independent locations. The City of Delaware also is an ideal location, Homan said, having been ranked recently by PennyHoarder.com and Money Magazine as one of America’s best small cities based on such factors as economic health, affordability, quality of life, safety, education, and health. Delaware County, Ohio – located in the heart of Ohio and home to nearly 200,000 residents – is where flourishing farmland meets suburban comfort and urban amenities, and where smart-growth policies create safe, healthy communities for all our residents, business owners, and visitors. Learn more at http://www.co.delaware.oh.us. The City of Delaware is a family-oriented community that blends a traditional hometown atmosphere with a modern, independent spirit. The city comprises a population of nearly 40,000 and is the seat of government for Delaware County. Delaware is included on Money Magazine’s “100 Best Places to Live in America” list. Learn more at www.delawareohio.net.